Meet our team of leading bio-engineers, technology innovators and surgical practitioners. OrganLike are a team of leading bio-engineers, technology innovators and surgical practitioners. We have worked with each other on previous projects and have known each over for at least four years. OrganLike was formed in July 2017, after several years of development by Isaac Wang, supported by Will Shu. In 2018, and very soon, we shall be adding new staff to the OrganLike team – we look forward to welcoming them onboard and adding them to this site. PRECISION. PIONEERING. 3D ORGAN PRINTING. Will is the Hay Professor in Biomedical Engineering at the University of Strathclyde, Glasgow. He and his research team pioneered a number of 3D bioprinting technologies including the world’s first human pluripotent stem cell printing technology, paving the way of 3D printed tissues and organs for medical transplantation and drug testing. Isaac received his PhD from Heriot-Watt University, on mechanical engineering, where he worked with Will. Isaac received his first degree in biotechnology and masters degree in polymer biomaterials. He was a post-doc research associate in mechanical engineering at Heriot-Watt University. Isaac is the inspiration and originator of OrganLike’s unique technology. John has been a Consultant Transplant and General Surgeon and Honorary Senior Lecturer at the Royal Infirmary of Edinburgh since 2003. He is Lead Clinician for Organ Transplantation in Scotland and Chair of the NHS Blood & Transplant UK Pancreas Advisory Group. He is Director of the Scottish National Islet Transplant Service. John helps us to understand what surgeons really need and want. Stephanie attended Glasgow and Strathclyde Universities and obtained an LLB (Hons). 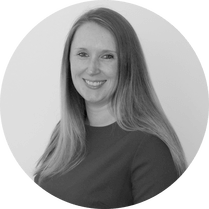 She was a practising solicitor until recently and has joined the team to help put in place and operate the Company’s administrative processes and support the CEO in the business management activities. 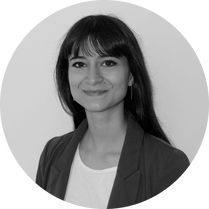 Maria is a biomedical engineer and joined Organlike in June 2018. She received her bachelor and master degree in Biomedical Engineering at Polytechnic of Turin, Italy, and recently completed a research experience at Harvard-MIT. She is very interested in new solutions found in the field of biomaterials and technologies and their use for biomedical applications. Maria will assist in the development of OrganLike products. Cooperation on future research and new product development is very welcome – contact us for more details.